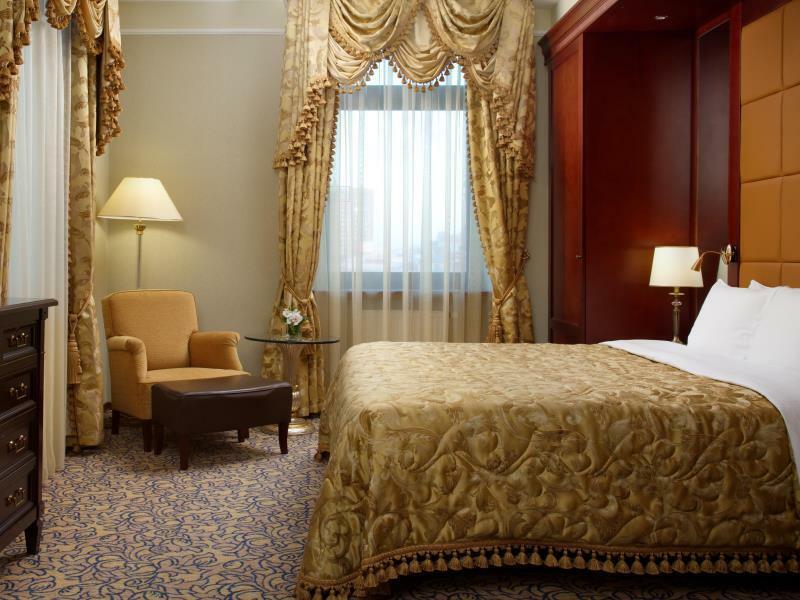 ﻿ Hilton Moscow Leningradskaya Moscow. JIMAT di Agoda.com! 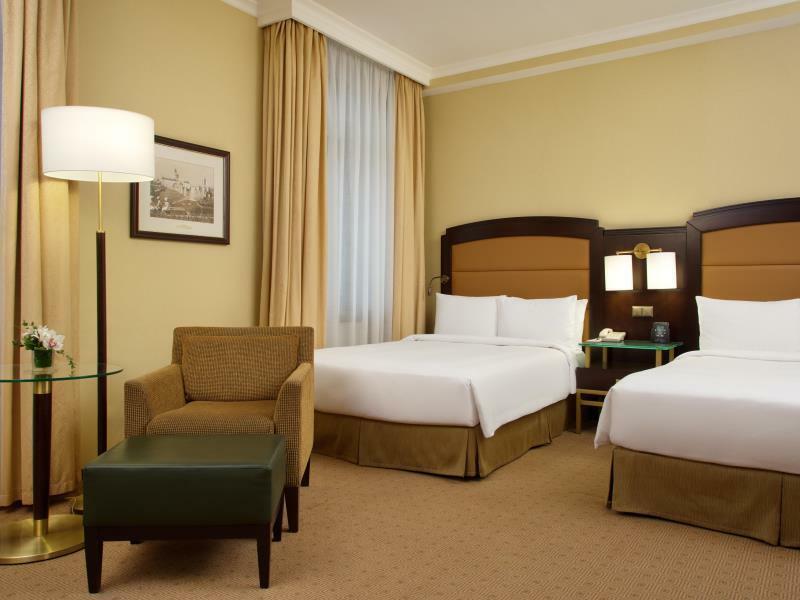 Ada soalan mengenai Hilton Moscow Leningradskaya? Terletak di Krasnoselsky, Hilton Moscow Leningradskaya merupakan tempat menarik untuk memulakan pengalaman di Moscow dan kawasan sekitarnya. Terletak hanya 1.00 Km dari pusat bandar, para tetamu berada di lokasi sesuai untuk menikmati tarikan dan aktiviti di sekitar bandar. Syurga untuk berehat dan bersantai, hotel ini akan menawarkan pembaharuan penuh hanya beberapa langkah dari pelbagai daya tarikan bandar seperti Church of the Kazan Icon of the Mother of God, Moscow Kazanskaya Railway Station, Monument Founders of the Russian Railways. Menawarkan tetamu hotel perkhidmatan yang unggul dan pelbagai kemudahan, Hilton Moscow Leningradskaya komited untuk memastikan penginapan anda berada di tahap seberapa selesa yang mungkin. Ketika menginap di hartanah yang indah ini, para tetamu boleh menikmati khidmat bilik 24 jam, Wi-Fi percuma semua bilik, pengawal keselamatan 24 jam, pengemasan harian, pendiang api. Suasana Hilton Moscow Leningradskaya terpancar di dalam setiap bilik tetamu. televisyen skrin rata, telefon di bilik mandi, karpet, bilik larangan merokok, penyaman udara hanyalah sebahagian daripada kemudahan yang boleh didapati di hotel tersebut. Tab panas, pusat kecergasan, sauna, kolam renang tertutup, bilik wap di hotel merupakan tempat yang ideal untuk anda relaks dan tenangkan diri selepas hari yang sibuk. Nikmati perkhidmatan yang sukar ditandingi dan lokasi benar-benar berprestij di Hilton Moscow Leningradskaya. Was on a tour that stayed here. Extended 2 nights for convenience. Hotel is slightly out of the city area but conveniently located abt 5 mins away from the train station. Rooms a bit dated but clean. But overall good for the price. 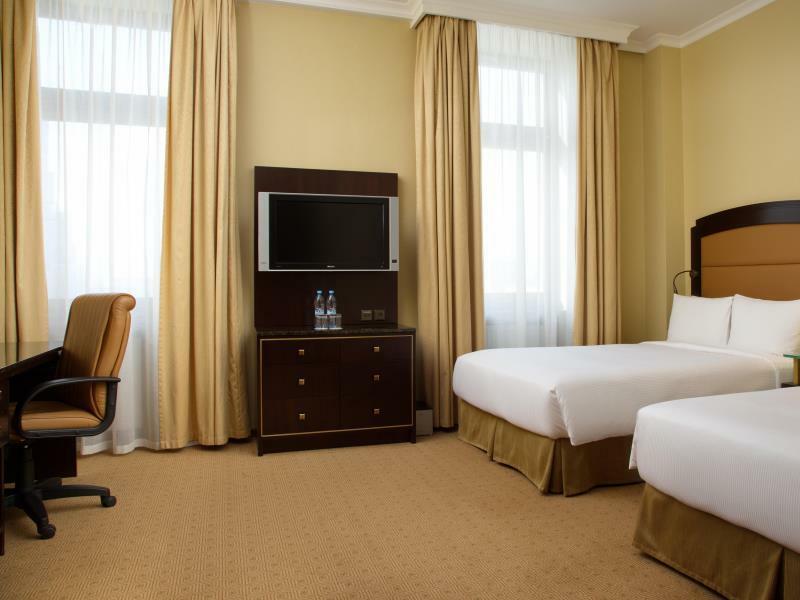 Dear Alison, thank you for sharing your feedback about Hilton Moscow Leningradskaya. We are happy that you had an overall positive experience with us and hope that you willcome back to Moscow again in the future. Nothing fancy about this Hilton aside from its exterior. Rooms are average, fairly worn furniture, decent amount of space in the room for twin sharing. Location is fairly good considering its near the 3 different stations but i still found it too far away from the main shops/ attractions as there is nothing much to do around the hotel. 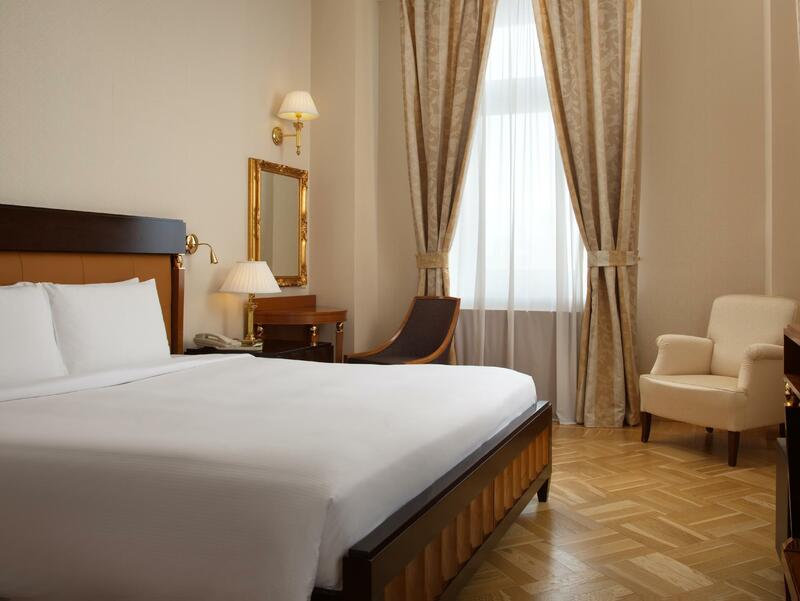 I have stayed here many times as I think it's one of the nicest and best valued hotels in Moscow. One of the historic Seven Sisters, the hotel has lots of character. Very comfortable beds and good (although expensive) breakfast. walking distance to train and mtr station--easy to get around. Have to say the lobby is more impressive than the rooms. we stayed two nights in the hotel, one night on 2/F unreachable by elevator and you can't reach the gym and swimming pool unless you walk through the lobby, which doesn't seem to be convenient. the room on the 2/F is more spacious than the one we stayed on 12/F, but it feels empty inside. Dear Guest, thank you for taking the time to provide us and the entire Agoda community with your positive feedback about Hilton Moscow Leningradskaya. 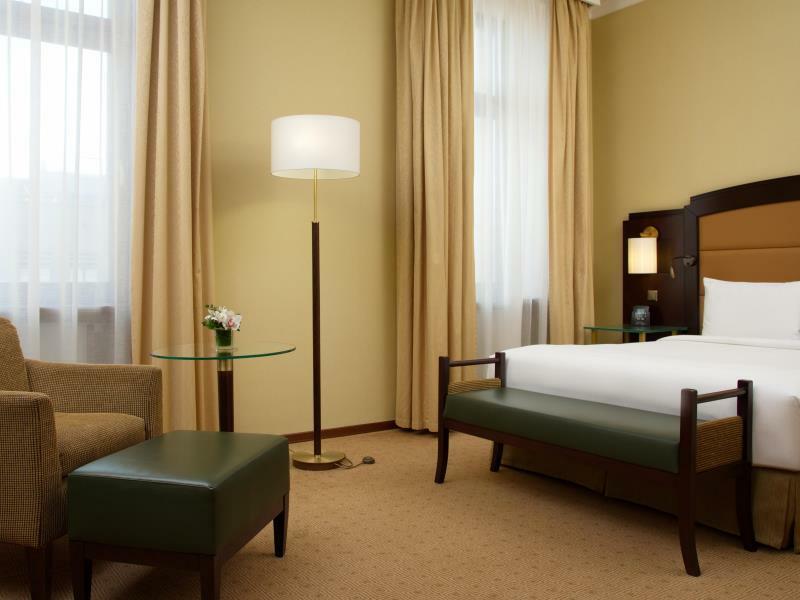 We are pleased to read you enjoyed your stay with us and hope to welcome you back to Moscow in the future. The room was very nice, big and comfortable. The location is great as it's just across from the train and metro stations. There is a shopping mall just further down from the train station. Lots of small restaurants in the area. Highly recommended if you don't mind being a few metro stations away from the core. The hotel is located in one of Stalin's Seven Sister buildings, which already makes the stay more interesting. 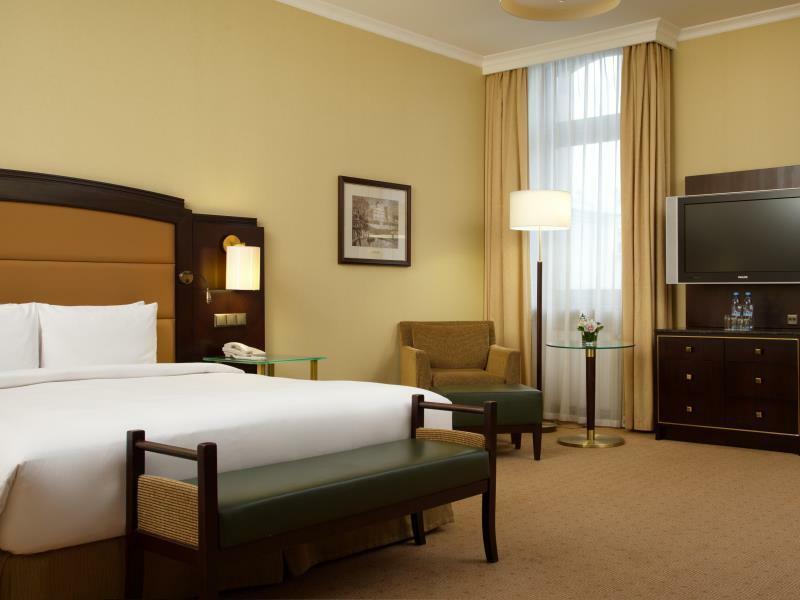 It's a typical Hilton hotel, where the staff are accommodating and polite, the rooms are kept really clean and you get decent bathroom products. I have stayed here before I remember the bed being really comfortable and I was certainly not disappointment this time. The bed was so comfortable I didn't want to leave. My only slightly negative point would be that breakfast is incredibly over priced and as is the case with big hotels can be busy and a slightly stressful experience! 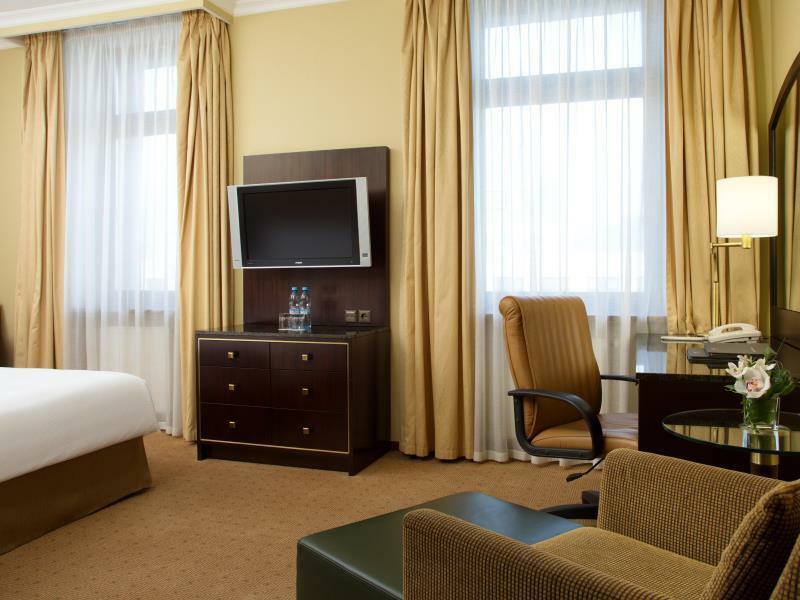 Dear Philippa, thank you for taking the time to review Hilton Moscow Leningradskaya and your stay with us. We are happy that you had an overall positive experience with us and we thank you for constructive feedback about breakfast. We will be sharing this information with our hotel leaders, and hope that you will come back to Moscow again in the future. we arrive in Moscow at 0400 morning and went to Hilton at 0500. since very early, we have not started our journey yet. We the planned to store our luggage in Hilton so that we could be more convenient to spend our first day in Moscow. Due to the very cold weather outside, we chose to stay at Hilton Lobby and wait till Metro open. However, an hour later, the front-desk staff told us the room was available and they could offer us early check-in. We were surprised and feel thankful. At least, we could take a hot shower and short nap before continuing our trip in Moscow. The service is really good and staff is helpful. Location is near train station that can catch a train to St.Petersburg. Also it's near a suburb train station to Sergiev Posad. If you arrive in the morning, you can ask for early chick-in. Dear Heiko, thank you for taking the time to provide us and the entire Agoda community with your comments about Hilton Moscow Leningradskaya. We apologize if the hotel room was not to your satisfaction and we have forwarded your comments to our Front Office Manager so that she may investigate this further. Thank you again for all of your feedback and for being our guest. Air conditioning unit did not work. I reported it to the front desk the first day we arrived and the unit was not fixed until the THIRD DAY. I have never experience quite a horrid service before in my life. This hotel really tainted the Hilton reputation. Lovely location and for the price its worth it. However during summers A/C wasn't working and even after complaining twice i think no action was taken which made our experience a bit satisfactory rather than excellent. The service and location are good and the room is comfortable. The bathroom is spacious. 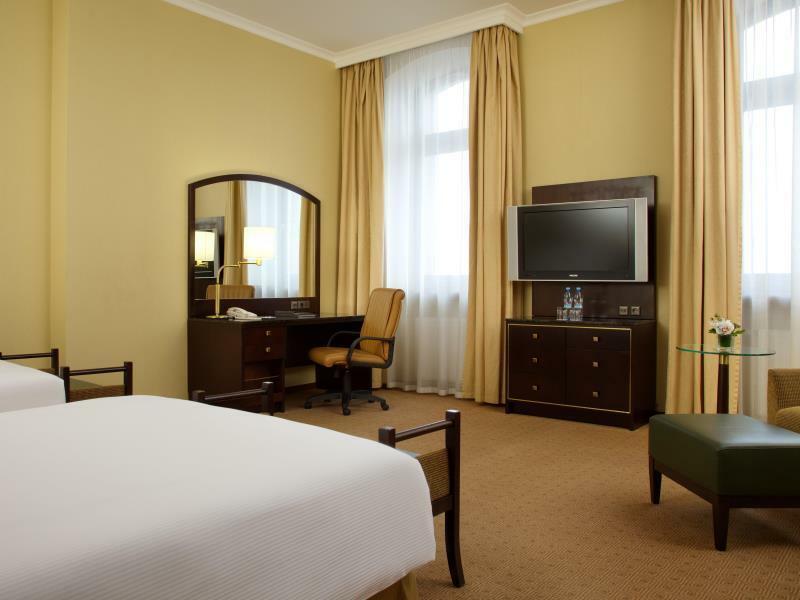 The hotel is near the metro station (around 5-7 minutes walk), and the train station to St. Petersburg. The hotel is a historical building. There is a currency exchange machine at the ground floor but the rate is slightly higher than that in St. Petersburg. Moreover, there are convenient shops, KFC and fast food shops t near the metro station. They open until midnight. I take a taxi (about 60-90minutes) from the hotel to the DME airport, costs 2000 RUB. Overall a very good hotel at a convenient location. Situated close to major train stations and circle line metro. The hotel from the outside and inside looks very impressive, Soviet type of style. Food is 5 star standard, although rather expensive. Staff is very helpful and international. The only minus about this hotel are the spa facilitation. It is on the -1 and therefore without any windows. Would be very nice to see some further investment in this area, with additional hammam. Overall a great stay! This is historical hotel. Decoration inside is very interesting. I got an upgrade during stay. Room is large and clean. Only 1 comment is location is close to metro but you have to cross the road which is not easy for tourist. 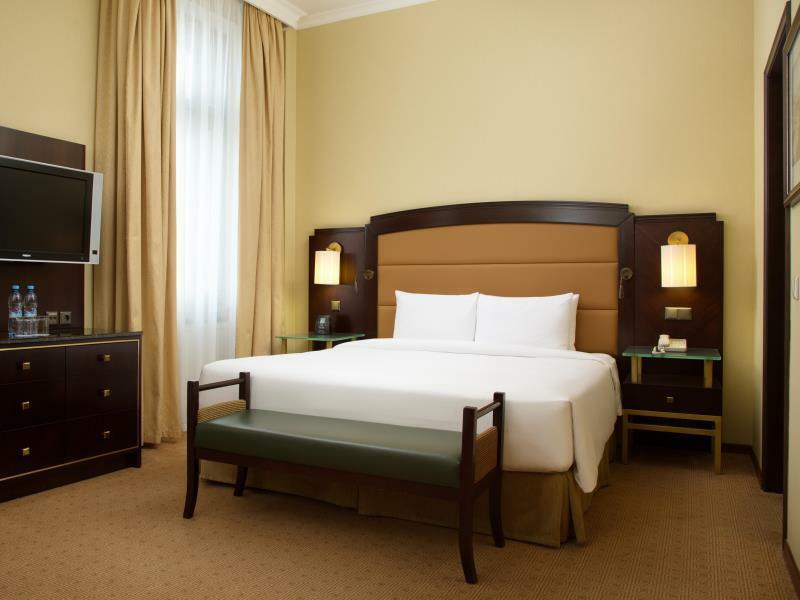 The location of the hotel is close to both metro & train station. The first time we stayed, the hotel arranged us the room with the best view. I could see the view of both the metro & train stations from my hotel room. It was spectacular in the night time. Buffet breakfast was nice. It was good value for that price. However, one drawback is the quality of the staff. We expected we should receive better service than what we received. 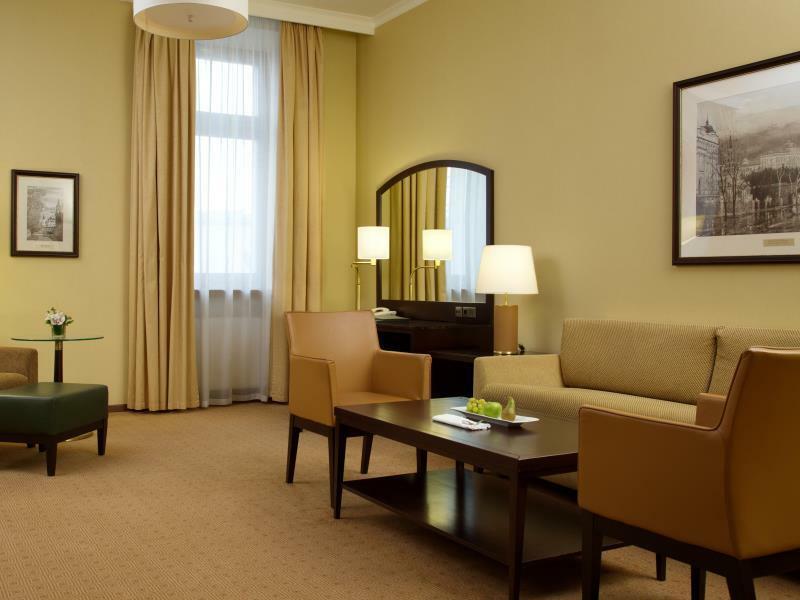 beautiful lobby, comfortable room and good value of money! the lobby wowwww me when i just entered! so beautiful and vintage. staffes are helpful though everyone look so cool with no smiles i spent an evening in the lobby area, ordered dessert and a cocktail from the restaurant. food and ambience were amazing. room is standard, king-sized bed and big toilet! it's the most impressive hilton hotel that i have experienced! very moscow!